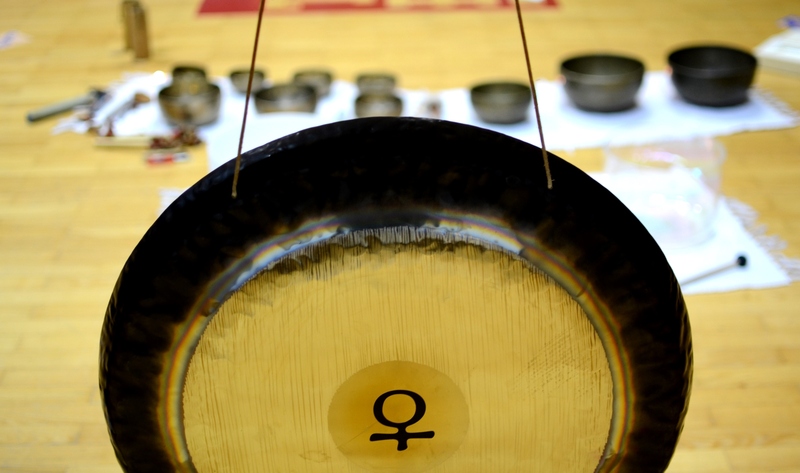 You can attend different kinds of individual sound baths – with focus on physical body, emotional body, mental body, spiritual body, or you can choose individual bath that includes all. When you have issues with physical body (for example headaches, muscle pains, joint pains, back pains (specially lower spine), with teeth and gum, blood circulation, birth organs (women), inner organ proceses (except for heart failures – you need to tell before the treatment), sound can be produced direclty with playing instuments on your physical body. Body has self-healing capabilities, but when stress is high, it needs support for rejuvenation and for releasing unnecessary toxing out of the body. With sound that goues through whole body cells are cleaning and body can come into peacefull and harmonic state, where all its processes can work out without disturbance. 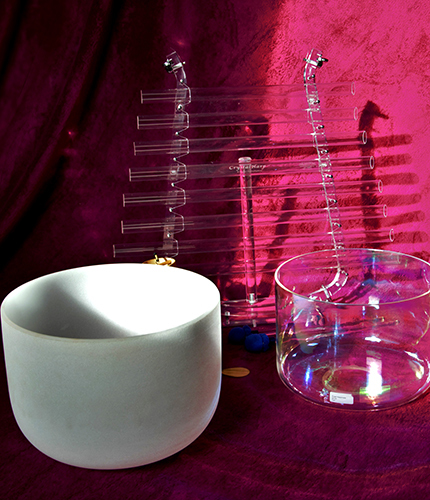 Instruments for support: crystal forks and tibetan singing bowls . The best thing is when our emotions are in harmony and we can express them just because they are there in that moment and we can release them, we are not attached to them. Whether you feel that your emotions need support to express themselves or you are in this moment in some special field (in saddness, anger, fear, depression…), maybe you don’t even know, bust something is ‘squeezing’ you and you don’t know how to deal with that… Sound can support you so emotions can feel free to express themselves. You can do this in safe environment of Sound SPA. Also we can work with sound in your situation, where you have some conflict and then we work on emotions that are barriers for this situation to resolve. When we are calm and in total presence in this moment, we can watch our own thoughts and we can choose them with awareness. If our life is too fast, stressful, also mind body doesn’t have right focus, we are coping with many issues in our ‘head’, that can quicly manifest also in outside world. Sound can support you with releasing your own thoughts, convictions, it can support you in your presence here and now and in your awareness to choose your thoughts wisely, so they can create a better life for you. Sometimes our sensations can not be described by words, but we can feel their messages in our hearts. Sound of crystals can support us with cooperation with our intuition, sensations of non-material world, opening of our hearts to uncunditional love, compassion, joy. Our awareness can slowly wake up, we come into new energetic field, where we can sense same things in totally different way, with another awareness. It is treatment with all sensations, that can release your thoughts, emotions, brings the highest awareness of your soul and embody it into your physical body and reality. All bodies can be into harmonic wholeness. The main advantage is that you can be totally aligned with Universal laws, with your soul way here on Earth. It can support you in your life creation, so you can create from fields of love, joy, compassion, inner power, gratitude, health, happiness. It effects the energy body of the individual, irrespective of where he/she is located. It has been proven that treatments may be carried out at a distance, because space, as such, does not exist in this world. After agreeing on the date of an individual taking the bath we can talk about the purpose of the individual, followed by the sound bath itself. Participants receive the transmitted visions and messages by e-mail. Usually, people experience heat, shaking, chills, or other sensations in the body, while some also see certain images to help them in their holistic treatment. The advantage is that you can be at home, especially when you need a quick energy assistance. 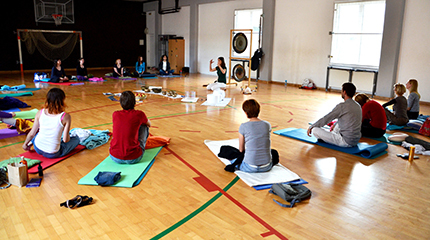 Group sound baths are carried out in Slovenia and abroad (by arrangement). 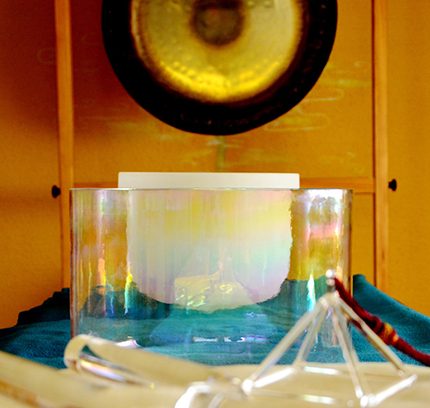 The group cleanses each individual’s and the collective consciousness at the same time, because a group of people with the right attitude can multiply the effects of the sound bath. I carry out collective baths thematically according to the current month and the need to support individual areas (abundance, health, balancing partner relationships, trust, celebrating the equinox, full moon …), and I repeatedly invite various guests into the group, as so-creators who bring support from other areas of healing (herbal essences, laughter yoga, …). At the sound bath people listen to the sounds of all the instruments lying down. Each time, the participants can prepare with their intended purpose, revealing why they came in the first place. After a short introductory part of the breathing and physical exercises people surrender themselves to the sounds for an hour, followed by a brief conversation over tea. Crystals represent purity and high consciousness of Mother Earth, their frequencies support us in the transformation, they nurture us and raise our consciousness. They allow us to take a step forward in our awareness of ourselves and bring new information to Earth. Lying down, people listen to the sounds of crystalware, crystal lyre, crystal pyramids and forks during a special guided tour and recorded meditation that is intended for this group, they open their hearts to adopt high vibration and personal transformation. After the session it s time to share messages in a circle. With fairytale I am taking children to sound experience. They are laying down and listen, with crystal instruments and gongs I gently bring them to sleep. 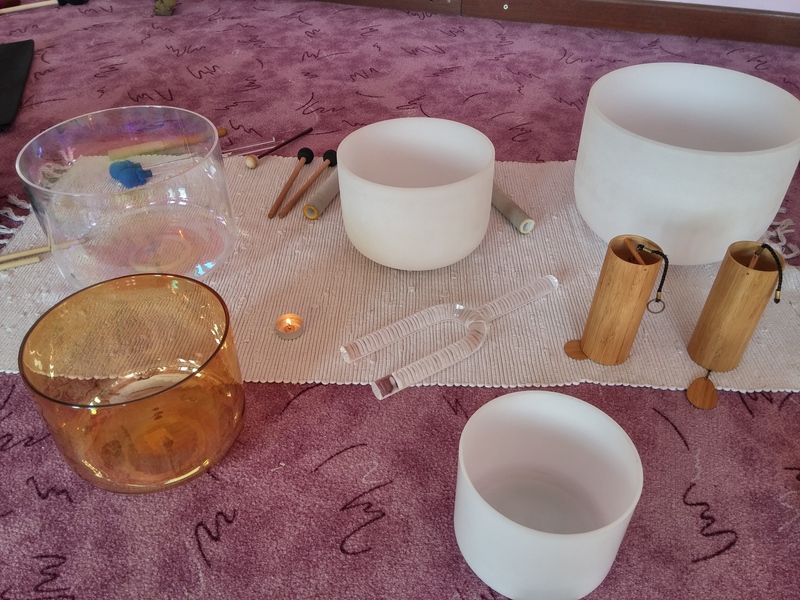 We are talking about their sensations after sound bath. 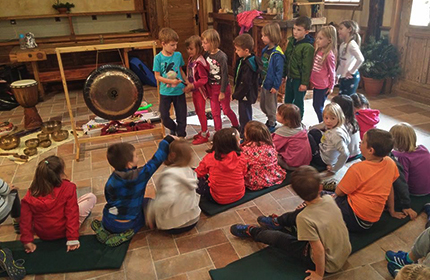 Advantage: children calm themselves, they have better focus in their everyday life, expressing their feelings, sound supports them with their connection to Source. Group sound SPA on a distance works on energy bodies of participants exactly as if they would be present there physically. 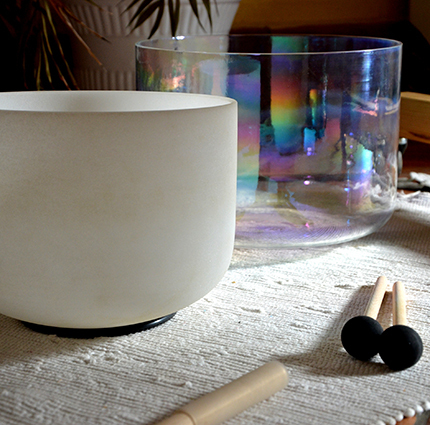 At first I prepare energy space for sound bath. On a distance I invite participants, connect with them energetically and start to play. Every attendee can comfortable place in its space (at home…), he/she can say his/her own purpose, where sound can support him/her, light a candle and feels energies of sound. Participants receive the transmitted visions and messages by e-mail. for all of you, who want to feel your body rejuvenating with support to release everything that is not longer needed. Massage stimulates the body to re-establish high-speed connections between the cells and to allow a good flow of all bodily fluids. With the help of hands intuitive energetic approaches can also be done for the highest good of each individual. Sometimes during the massage we talk, because through talk the physical body can release certain tensions. It is intended to release back pain through intensive kneading of muscles and of the muscle knots. These are hypersensitive points in muscles, where the bloodstream is not flowing properly and it came to increased tensions. With releasing these points we are removing back , shoulder and head pain from your body. Touch and sound are complementary. 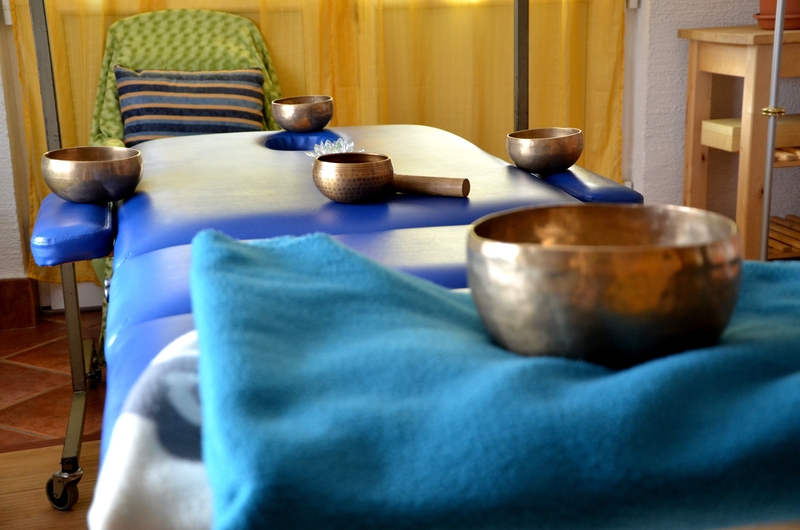 Through the art of touching and relaxing of muscle tension, our body is filled with oxygen. This facilitates the passage of sound through the body, and this opens the deeper levels of our cell records within the body. The old beliefs are rapidly transformed at our physical level. 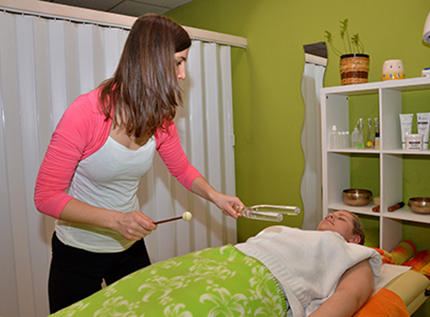 At the same time, the combination of massage and sound is extremely relaxing and beneficial for everyone. 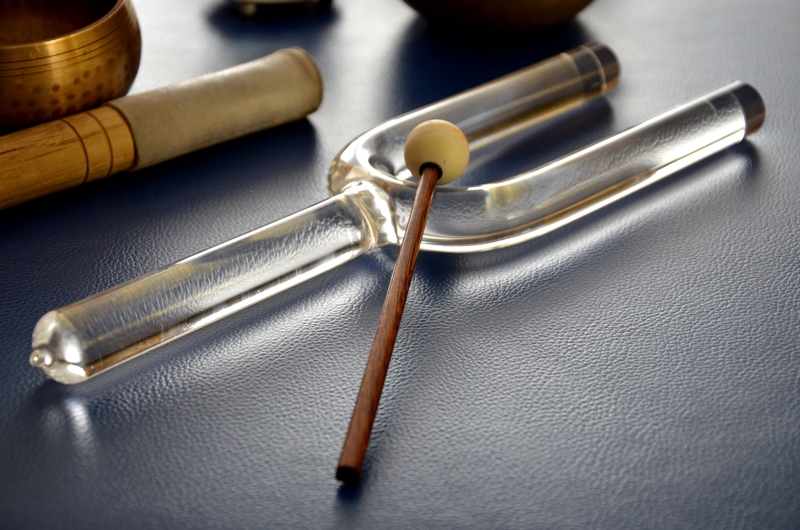 It is intended for people who want to comprehensively straighten their backbone, to remove any tension in it, while at the same time supporting the health and happiness through the sounds of energy instruments. The therapeutic back massage stimulates the effortless flow of nerve impulses in the body, while the touch of the hands and the sound waves open up energy channels relevant to the balanced functioning of the individual. An individual deeply experiences him-/herself, effortlessly turning his/her purpose in life into reality. From Intuitive-massage session and with support of sound. It releases all muscle tensions in whole body and after that person can relay in mental and emotinal way. For all that want deeper and longer relaxation. Zvočni SPA vas vabi, da ga obiščete in se v njem celostno prebudite – zaveste se moči in strasti svojega telesa in duha.